Chandigarh, Oct 23 (IANS) Despite a tariff hike announced on Monday by the Punjab State Electricity Regulatory Commission (PSERC), the Punjab government said that it will stand by its commitment to supply power to industry at the subsidised rate of Rs 5 per unit. 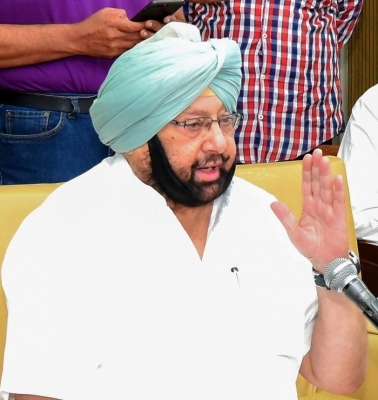 Punjab Chief Minister Amarinder Singh on Monday assured that his government will provide power at Rs 5 per unit to industry, as approved by the state cabinet, notwithstanding the order the PSERC. The PSERC announced power tariff hike ranging from 7 to 12 per cent (average 9.33 per cent) for various categories of consumers to be effective from April 1 (this year). The Chief Minister directed the Power Secretary and Chairman of Punjab State Power Corporation Limited (PSPCL) to examine the implications of the two-part tariff and issue an advisory to the concerned department to freeze industrial power tariff at Rs 5 per unit from November 1, as already approved by the state cabinet. The Punjab government, in a bid to revive the state’s industry and economy, had committed to provide power tariff for the industry at Rs 5 per unit for five years under the ‘Industrial and Business Development Policy 2017’ notified on October 17. “While it is the prerogative of the Commission to fix power tariff in all categories under the provisions of the Electricity Act, 2003, the government will ensure that it meets its commitment to power users in the state,” the Chief Minister said in the wake of the notification of the PSERC Tariff Order announced on Monday for the year 2017-18. He said his government would provide the necessary subsidy to the PSPCL to meet its commitments for providing free and affordable power to various categories of consumers, including agriculture, industry, Scheduled Castes, Backward Classes and below poverty-line domestic consumers. “The government will ensure that power is provided to small consumers at part with the existing tariff of Rs 4.99 per KWH – a move that will benefit 85,000 small industrial consumers, while keeping the overall tariff to Rs 5 per unit in the new scenario of a two-part tariff, for industrial consumers in the medium and large category,” Amarinder Singh said. On the hike announced by PSERC in domestic tariff, the Chief Minister said the nominal increase was necessitated by the increasing cost of power generation and distribution and pointed out that the domestic power tariff had been static for the past three years. He pointed out that despite the hike, the domestic power rate in Punjab continues to be lower than all neighbouring states, except Himachal Pradesh. Opposition leader and Shiromani Akali Dal (SAD) president Sukhbir Singh Badal demanded immediate withdrawal of the “draconian power tariff hike”, saying the Congress government had yet again deceived the people by increasing tariff for both domestic and industrial supply though it was making promises of supplying cheap power to all categories, including the industrial sector.